Beautiful, yes? And my camera isn’t even doing justice to the colors. Unfortunately, it was also missing the pin thing on the back. I checked with my IO (Insignificant Other) to find out if it could be soldered. He suggested throwing it away, because it was not fixable. Of course, he thinks the world would be a better place if all costume jewelry completely vanished, so naturally, I ignored him and started thinking about how to repair it. 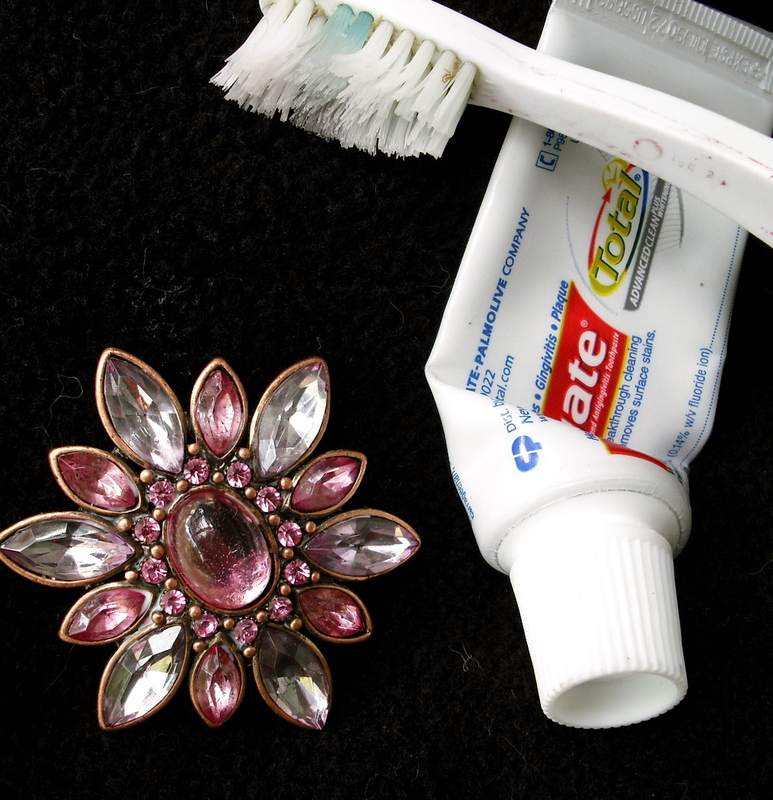 Toothpaste, an old toothbrush and a tiny bit of water are the best. Just scrub gently to avoid loosening any of the stones and pat dry. I wanted to do this first because my fix involved a piece of felt, and I didn’t want that to get wet. 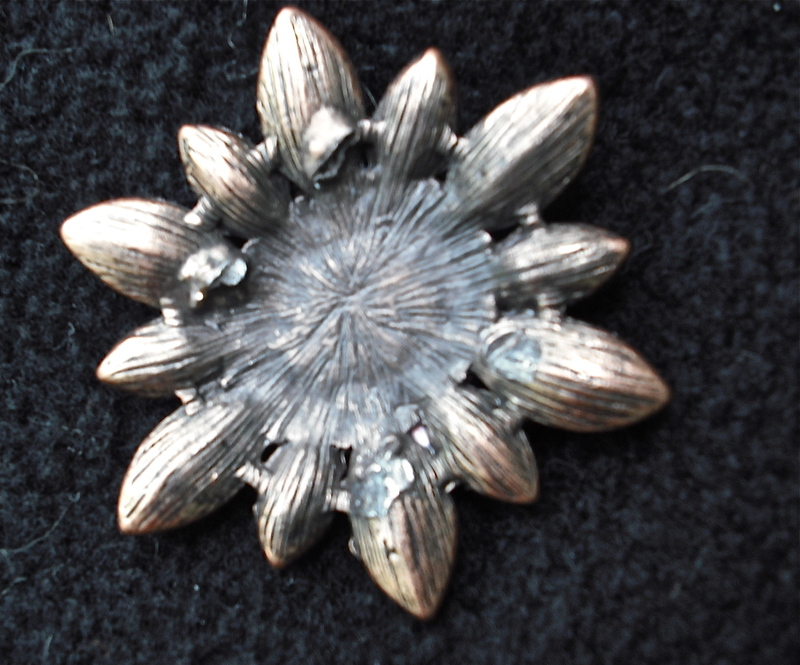 After the cleaning, the piece was allowed to completely dry overnight. Very simple! Just cut a piece of felt the size you’d like on the back of the piece. Done! This is actually two steps, but let’s not drag it out. 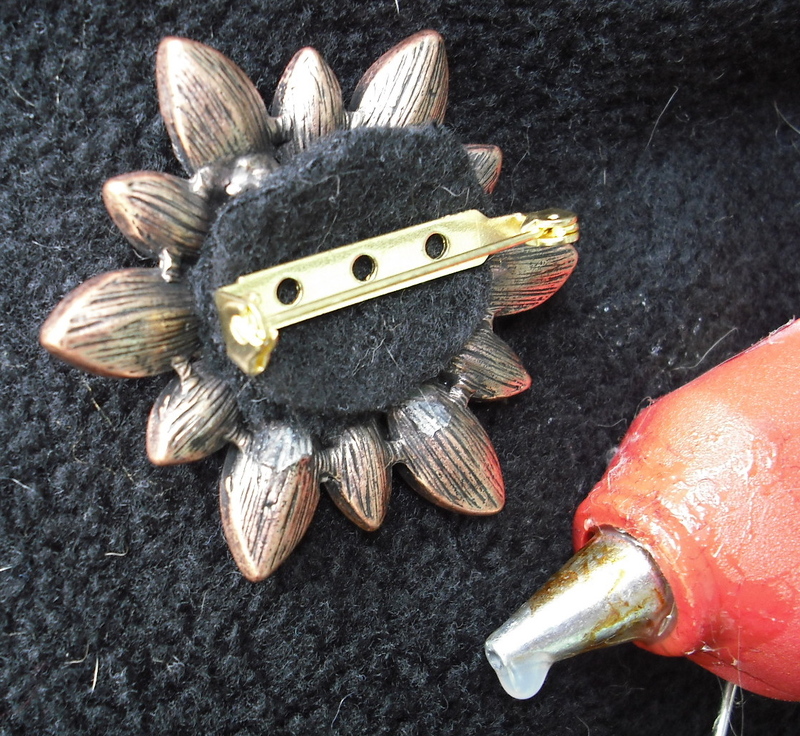 First, hot glue or sew a new brooch pin to one side of the felt. Then hot glue the other side of the felt (duh!) 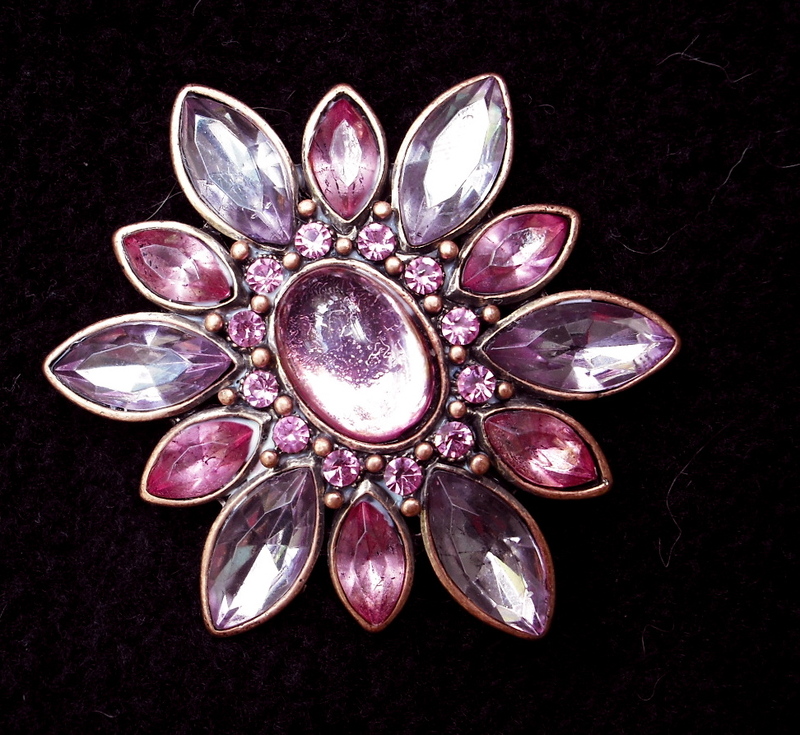 to the brooch. You’re done! Go do something else and let it dry for 24 hours or so. Not so bad, huh? 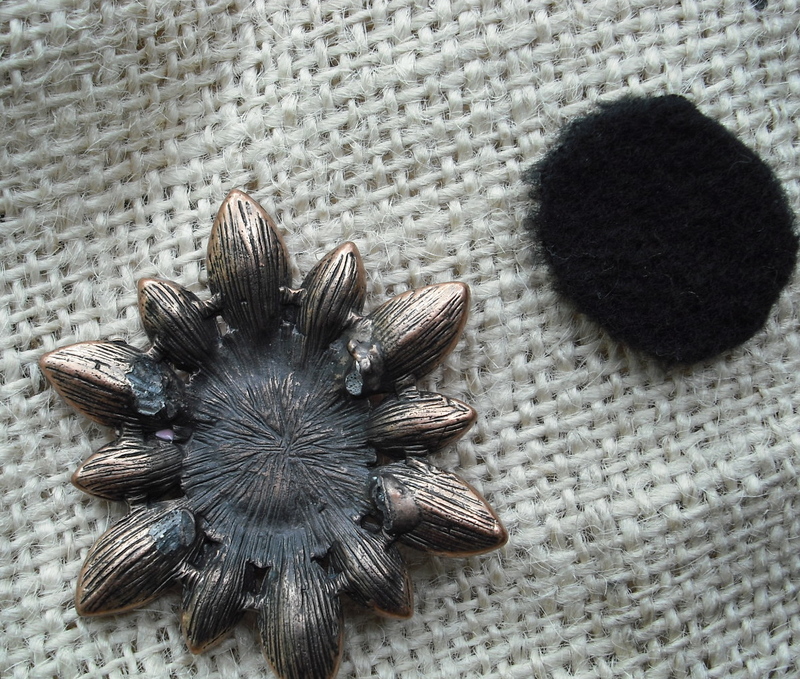 This little brooch is going to go on a new top I’m altering. This is what it looked like before I got my mitts on it. 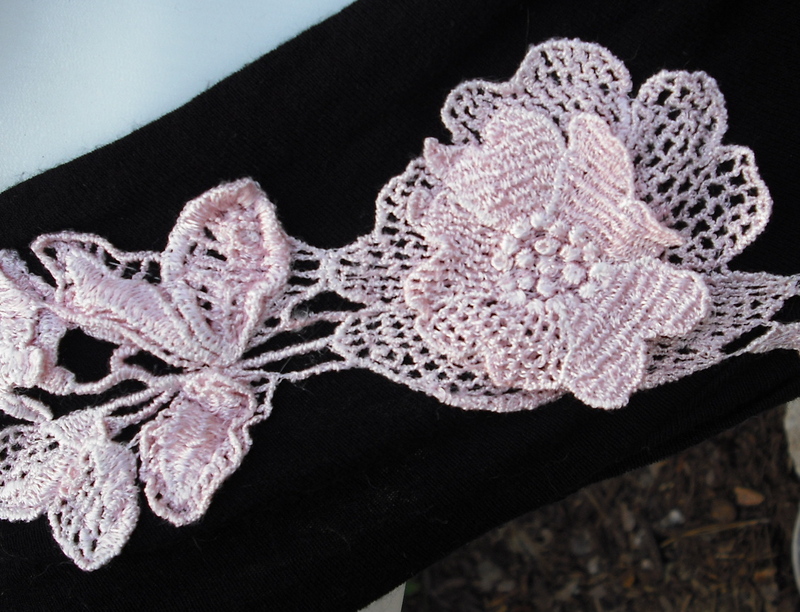 Those things that look like white blobs are actually sweet little pale pink crocheted flowers. Other than sticking with the pink/black theme, the “after” shot is going to be quite a lot different than this “before.” But that’s the whole point of altered couture, right? 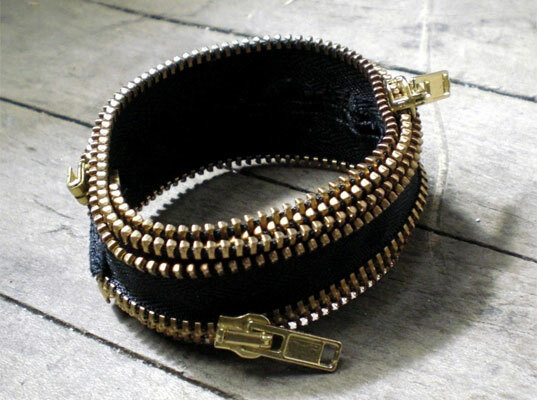 Very cool little bracelet created by designer Tara St. James. 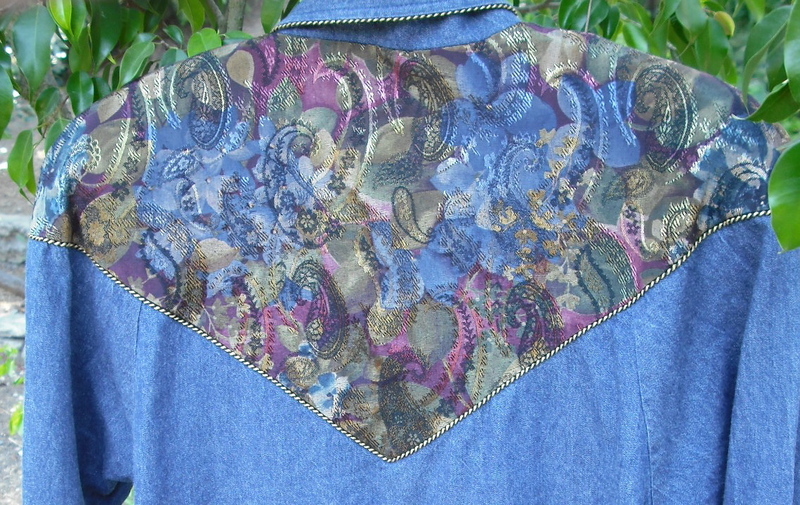 You can make your own with nothing more than a broken zipper (who doesn’t have one or two of those around?) and a needle and thread. 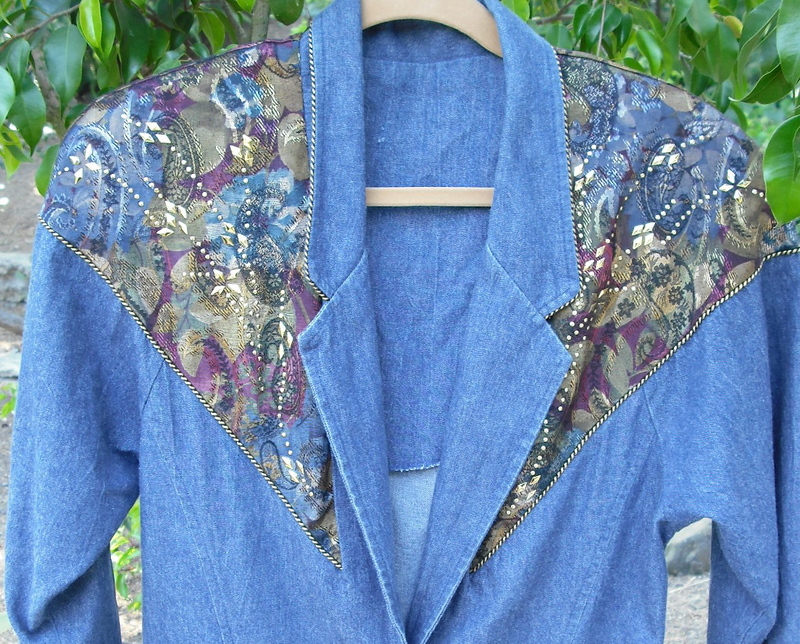 The complete tutorial is at Ecouterre, a fabulous online resource for anyone interested in sustainable fashion design. Enjoy!